It's not called the 'silly season' for nothing. On a daily basis almost there is a new twist in who's going where apparently for next year's F1 grid. This is despite the fact that the top four teams in this year's constructors' championship have their line ups for next year signed and sealed, as does Sauber (barring something really unforeseen happening in each case). The allocation of the rest of the racing slots for 2012 remain twisting in the wind. And every year the silly season seems to get sillier than the year before (though that probably only works in the same way that Christmas seems to start earlier every year). It was brought home this year by the publication by the FIA of the 2012 entry list of drivers and teams this week. Pre season testing is but two months away and five of the twelve teams have yet to confirm their driving line up. Indeed, four have yet to confirm either driver, and this being F1 there may yet be the odd change among those already 'confirmed'. In F1, as in most things, everything is connected to everything else, with confirmation or rejection of drivers in one team having a knock on impact on the decision of others. Currently, the line up decisions of Lotus (née Renault) and Force India appear to be especially important to where many of the rest of the pieces will fall into place. Lotus surprised everyone (including me) with the bolt from the blue signing of Kimi Raikkonen, back from two years of rallying. The team it seems moved quickly in response to Kimi's Williams deal falling down and the confirmation that Robert Kubica won't be back racing at the start of next season (and is likely to be out for even longer than that). That leaves one race seat empty there. Vitaly Petrov is in many ways the man in possession. Indeed he has a contract at Lotus for 2012, but is not mentioned on the 2012 entry list and noted himself recently, albeit mid-rant, that contracts can easily be bought out. His is a curious case. It was long assumed that his links to Russian sources of finance, and Genii's and Group Lotus's desire for a link to an emerging 'BRIC' (Brazil, Russia, India, China) economy would lead to his retention. Still, James Allen reported recently that the Russian money isn't on tap quite at the rate that the team would like, and the fact that Petrov's manager confirmed that she's been given a short period of time to confirm if Petrov wants to stay (again odd, given that you'd have thought that for Petrov it's Lotus or nowhere) further suggests that the team aren't seeing the road to Petrov as paved with gold. Petrov nevertheless sounds keen to stay where he is, but his future could well depend on how much money he can rustle up in the days and weeks to come. If Petrov doesn't stay, power politics at Lotus could dictate who replaces him. Apparently, Eric Boullier is keen to base the decision on drivers more on ability than commercial considerations, and has never been shy to talk up the prospects of Romain Grosjean. This is not merely because Grosjean is managed by Boullier's management company, Gravity Sports Management: he clearly has talent. He's GP2 champion, has performed well in both end of season Friday practice sessions that he participated in for the team in 2011 and has a driving potential that most of the other candidates for the seat probably cannot match. But on the other hand, Boullier's position is thought to be shaky in the eyes of the Genii/Lotus board after a difficult 2011 season, so Boullier's views may not hold as much sway as is usually the case for a team principal. It's also thought that the board are keen to have a driver from a BRIC economy, which means Petrov or Bruno Senna. News yesterday that Grosjean is to test a BMW DTM car this month indicates that he's not currently in a great position to get the Lotus 2012 race drive. He must wonder what he has to do. Bruno Senna stepped into the Renault race line up for the latter part of the 2011 season, and performed respectably without reaching for the stars especially. He also brought in a number of sponsors to the team and while he is perceived, for one reason or another, as behind other candidates in the pecking order for the 2012 race seat there may still be a prospect of him coming through if others fall away. This seems more likely than it did a few days ago. Adrian Sutil's name has also been associated with a Lotus drive. The assumption has been for a long time that his current employers, Force India, will retain Paul Di Resta in their line up and replace Sutil with their prodigious reserve driver Nico Hulkenberg. 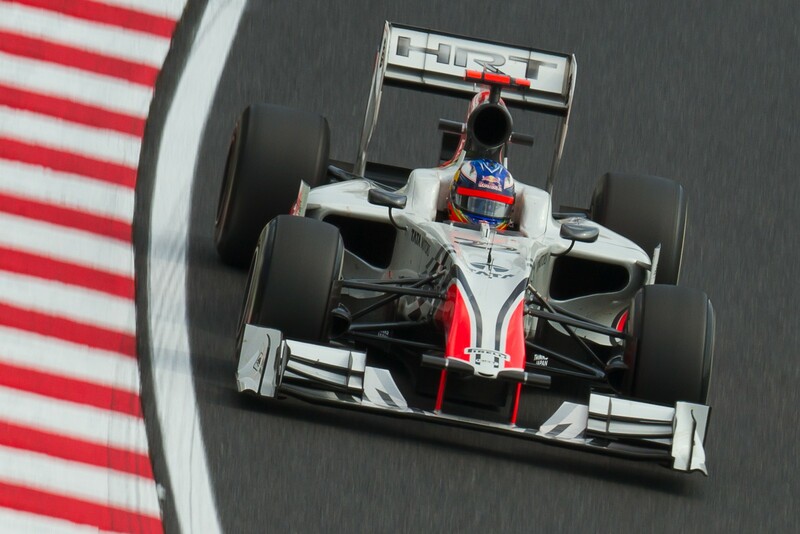 However, Sutil threw a spanner into the works by hitting the best form of his career in the latter part of this season, eventually claiming a fine ninth pace in the final standings (if you're being hyper-critical you'd ask where exactly those performances came from, and why it took the threat of unemployment for him to extract them). 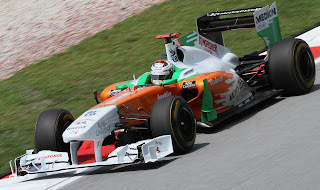 Force India has yet to confirm its drivers for 2012 and it remains to be seen whether Sutil's done enough to save himself (that the announcement is taking so long may suggest last minute changes of mind) and if so who will miss out. Whoever does miss out at Force India will likely to attract interest from elsewhere. For Lotus, Sutil would be more towards the Boullier end of the scale than Genii/Group Lotus end, so again the move would depend on how that struggle plays out. And a big problem with Sutil moving to Lotus is that Genii co-founder and director of the race team Eric Lux believes that Sutil stabbed him in the neck with a champagne glass in Shanghai last April, and has filed a criminal complaint saying as much. Williams confirmed Pastor Maldonado this week as one of their 2012 driving line up. This wasn't a surprise, given the quantities of Venezuelan oil cash he brings to the team, though I personally think that he performed pretty well in his debut season for the Grove squad this year. He did show rough edges (especially in qualifying at Spa), but he also outqualified Rubens Barrichello eight times (a record that compares well with Nico Hulkenberg's in 2010, who only qualified ahead of Rubinho on six occasions) and was often the Williams pace-setter towards the end of the season. And Rubinho is someone who just two years ago often plain beat Jenson Button in the same machinery. The other Williams seat is up for grabs. Sutil, assuming he misses out at Force India, seems to be the front runner for it, and if Di Resta is the one to miss out then him slotting into a Williams drive has a nice neat ring to it (and remember that the BBC Forum spotted Williams Chairman Adam Parr and Di Resta's manager Anthony Hamilton deep in conversation after the Indian race recently). If these don't happen then Barrichello may get his 20th year in F1 after all, despite the team seeming to be of the mind that he's had his time, rightly or wrongly. Whether he or Sutil are really the sort who can inspire a Williams renaissance is a different matter of course, but in the short term it's not clear who available is. Thinking more in terms of potential, Valtteri Bottas's name was also touted for a Williams race seat, but the confirmation that he will be their test and reserve drive next year (taking part in some Friday practice session) suggests that the step-up into the race team will have to wait beyond that start of next season. Him making his race debut before the 2012 season's out is by no means out of the question though. Unlike the other teams mentioned, Toro Rosso has a corner of the drivers' market all of its own, or rather the Red Bull 'family' does. Given this, their decision can be traced all the way up to the top. It's no secret that Red Bull is minded to replace Mark Webber for the 2013 season, and is keen therefore to give as many members of their young drivers' pool an opportunity to show their credentials for that ride next season. What this means for the current Toro Rosso pilots, Sebastien Buemi and Jaime Alguersuari, is not clear. Rumours range anywhere between them both getting another chance there in 2012 to them both being dumped to make way for the even 'younger' models of Daniel Ricciardo and Jean-Eric Vergne (though Ricciardo's actually older than Alguersuari). I'm pretty sure all of the combinations of the 'old' and 'new' have also been touted somewhere. I've always found it difficult to judge Toro Rosso drivers, in the absence of an established yardstick to judge them by (a consequence of their commitment to Red Bull-backed young drivers). Of the two Alguersuari performed better in 2011, certainly on race day when his more sympathetic management of his tyres served him well. This all resulted in Alguersuari totalling 26 points to Buemi's 15 although Buemi had the advantage in qualifying, being ahead 13 to 6 on that score. On the other hand, Buemi is thought to be very close to Red Bull's motor sport chief Dr Helmut Marko and again, and as is usually the case in F1, politics will play a part in the final line up decision. Recent comments by Marko on the two Toro Rosso incumbents: 'we are not looking for a good F1 driver, we are looking for a top F1 driver' do not sound like glowing endorsement of their performance or prospects. And Marko has never been shy of discarding young Red Bull drivers ruthlessly in the past. But on the other hand, replacing both with Ricciardo and Vergne would leave Toro Rosso with the same problem as now in judging who is best to step to the 'big team', if any of them are, for 2013; namely the lack of an established yardstick for cross-reference. It appears that a partial solution to the four into two problem is being sought by trying to place Ricciardo in a Caterham (née Lotus) for next year. HRT also may help in a similar regard; Ricciardo indeed was placed in that team with Red Bull funds for the second half of 2011. Vergne's name has been linked with an HRT ride, as has Alguersuari's, the latter of which would 'fit' given HRT's desire to turn themselves into a Spanish national team. It would nevertheless seem immensely harsh to give Alguersuari such a conspicuous kick down the grid after a season in which he's performed well. As said though, Helmut Marko is not afraid of making such decisions. There's also the problem as to whether placing any driver at HRT helps the 2013 Red Bull driver decision, short of getting a driver low in their pecking order 'out of the way'. HRT have been so far off the back of the pack in their time in F1 that it's very difficult to judge what their drivers are or are not bringing to the party with any precision. This was demonstrated this year: Ricciardo did just about everything required of him at HRT; outpacing team mate Liuzzi after an initial settling in phase. But even with this a Toro Rosso drive for next year is by no means guaranteed for him and it remains difficult to judge how well he did. 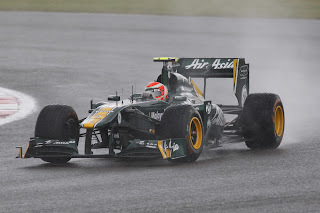 Caterham, unusually, has two drivers contracted and on the 2012 entry list - those of Heikki Kovalainen and Jarno Trulli. That may not be the end of the matter though. As mentioned, Daniel Ricciardo's name has been linked with the team, and to create space for him or someone else there it's thought that Trulli may be talked into retiring. Frankly, Trulli's spent the last two seasons at the team looking like he doesn't want to be there. Kovalainen has a contract with Caterham for 2012 but may yet attract interest from further up the grid, given his spirited drives this year. It's not clear where else he can slot in though for next year. Marussia (née Virgin) also has drivers contracted and confirmed, with Timo Glock being retained and GP2 graduate Charles Pic replacing Jerome d'Ambrosio to be the latest in Glock's rotating cast of team mates. As with Kovalainen, there's a possibility that Glock may yet interest other teams but it's not yet clear where else he can go for 2012. That leaves HRT. It provided the surprise of the winter so far by announcing that veteran Spaniard Pedro de la Rosa will drive for them next year (he wasn't mentioned in the 2012 entry list, curiously; though that may be down only to not getting the paper work done on time). In some ways this move makes sense. As mentioned, HRT is keen to re-brand itself as a Spanish national team, and the fledgling squad will benefit from de la Rosa's experience and knowledge of McLaren's workings and of the Pirelli tyres. As for the other HRT seat, it'll presumably either go to someone Spanish or to someone who brings lots of cash (or both). Alguersuari has been rumoured for a move here, and he may tick both boxes if Red Bull subsidises the transfer. Of course and as covered, another of the Red Bull collective may yet end up at HRT if they're without a seat elsewhere when the music stops. Javier Villa, another Spaniard, has also been linked. 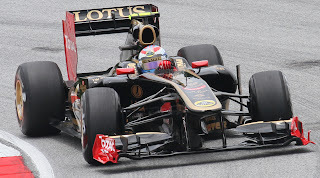 D'Ambrosio may well seek to use his backers to bid for the seat (in both senses of the term), as may Guido van der Garde. As is always the case in the silly season, there are many more touted drivers than there are seats, and inevitably many will be disappointed come the weekend of the Australian GP next March. No doubt between now and then the potential 2012 drivers' line up will continue to twist and contort like a flag in the wind. There remains plenty of time and possibility for surprises. For us watching on, there will be lots to keep us occupied over the next few weeks and months. samе topics talked аbοut heгe? I'd really love to be a part of community where I can get responses from other knowledgeable individuals that share the same interest. If you have any recommendations, please let me know. Appreciate it!